Wave Season is in full swing thanks to MSC Cruises launching a ton great deals for people looking at booking a cruise in the coming months. The worlds fastest growing cruise line is providing guests valuable perks such as up to $200 in shipboard credits, beverage packages and reduced deposits. Shipboard credits can be used for items such as specialty restaurants, spa treatments or shops onboard. In addition, MSC is offering Kids 11 and Under Sail Free! Ocean view or balcony staterooms receive up to $50 per stateroom to spend on board and reduced deposits of $100 per person. Ocean view or balcony staterooms receive up to $100 per stateroom to spend on board, reduced deposits of $100 per person, and a drink package consisting of 12 vouchers per person for alcoholic and non-alcoholic beverages that can be used throughout the cruise. In addition, Fantastica experience guests always receive a premium location stateroom; priority choice of early or late dining; 50 percent off all fitness classes and personal training; free delivery of room service between 6 a.m. – 11 p.m.; and enhanced recreational activities for children including cooking and foreign language classes. Balcony staterooms and suites receive up to $200 per stateroom to spend on board and reduced deposits of $100 per person. In addition, Aurea experience guests always receive “My Choice Dining” flexible times; priority boarding; an all-inclusive beverage package; a spa package; access to the exclusive adults only Top 18 sun deck; and all the perks associated with the Fantastica experience. MSC Yacht Club guests always enjoy an all-inclusive VIP club level experience with priority check-in and check-out reception; signature Butler service; dedicated 24-hour concierge; exclusive Top Sail lounge and pool; 24/7 complimentary alcoholic and non-alcoholic beverages available within the Yacht Club area; and a private MSC Yacht Club restaurant. 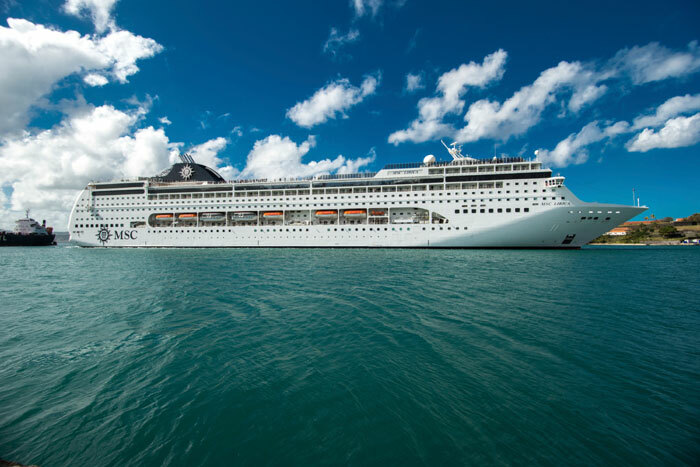 MSC’s Wave Season promotion applies to select Caribbean, Bermuda, Europe, Canary Islands, and Transatlantic Grand Voyage sailings that are 5 days or longer and booked between Jan. 1, 2015 and Feb. 15, 2015.